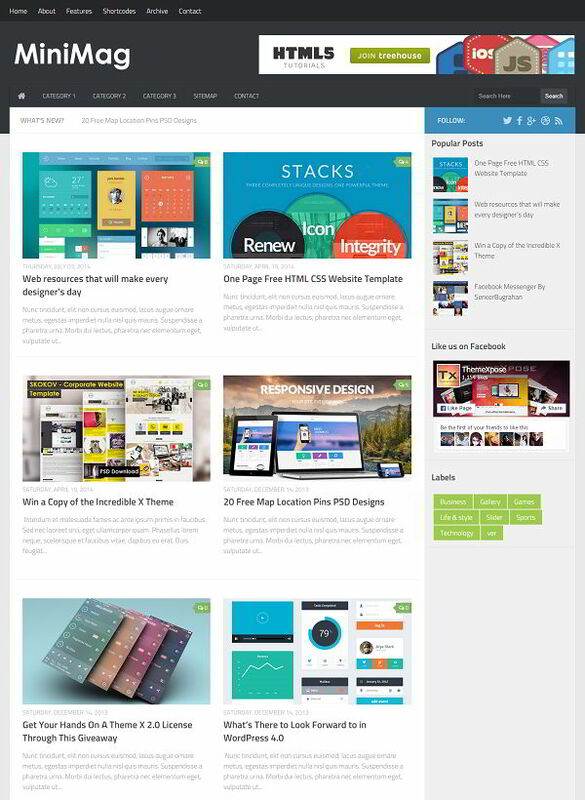 MiniMag is an ultimate modern design and full width magazine blogger template. It is a fully responsive 2 column layout blogger template which comes with many latest features. The grid based homepage design can attract more visitors and increases readership. The main feature of the MiniMag is its MegaMenu, which fetches latest posts for menu items. MiniMag blogger template is suitable for magazine, news, collection, gallery and personal blogs.